Volkswagen’s suggested fixes for its 2.0 liter and 3.0 liter diesel vehicles fitted with emissions-cheating software keep getting rejected, and now the automaker has decided on a plan to buy back some of the effected models—but only the certified pre-owned vehicles currently in the Dieselgate sales-ban limbo on dealership lots. The Truth About Cars is reporting that Volkswagen Group source confirmed the company has begun the process of buying back first-generation CPO 2.0 liter diesel Volkswagen models from dealerships, which legally are not allowed to sell the vehicles under a stop-sale issued by the U.S. government. These first-generation diesel models feature engines that are not fitted with AdBlue, or a diesel exhaust fluid used in a Selective Catalytic Reduction system that reduces NOx emissions. Later models switched to this system, and are not part of this buy-back program (but are still under the stop-sale and need fixing). Instead, the earlier 2.0 liter models are fitted with different NOx traps and exhaust recirculation systems that are less effective, and more expensive and complicated for the company to replace. The parts needed to effectively fix the first-generation diesel models to U.S. government standards could cost more than $2,000 per car, and considering the system had been fitted to models dating as far back as 2009, that’s a lot of money for VW to spend on fixing a lot of old, used cars. Later models fitted with more modern emissions reducing systems are expected to be fixed rather than bought back by the company, as well as new models effected by the government ban. 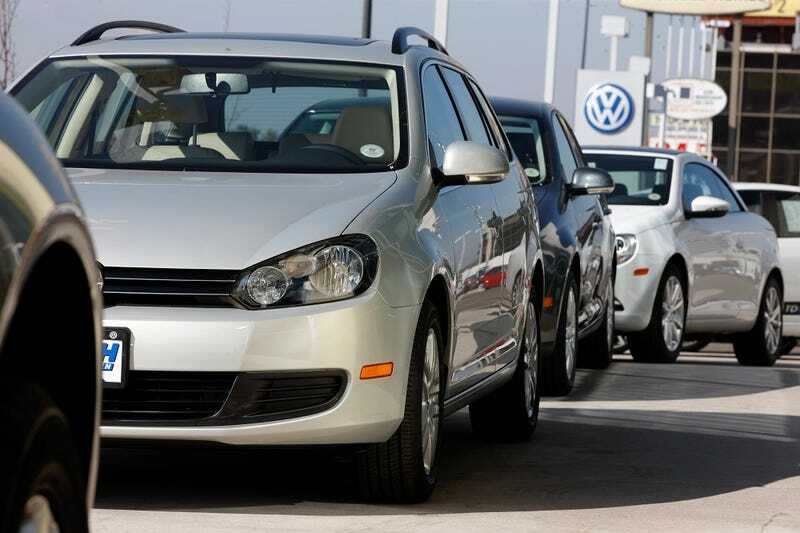 It is unclear what Volkwagen will do with the models it does buy back, as well as what is planned for all of the models purchased by American consumers over the last eight years. Could this be the first step towards Volkswagen buying back some of the 575,000 affected cars from owners? It will come down to what the engineers can come up with, how quick, and what the range of lawsuits against the company decide. But it doesn’t look good for VW.